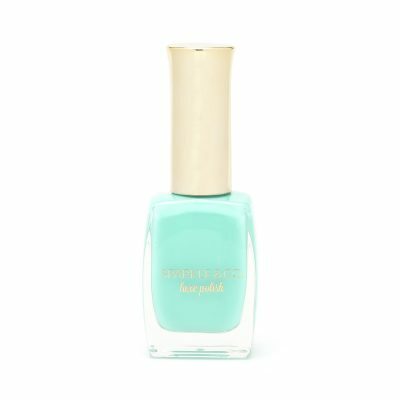 Luxe Base: Sticky Base Coat - Sparkle and Co.
Our 15ml sticky base is specially formulated to help nail polish adhere to prevent chipping and help extend the wear of your polish! Luxe Top, Matte, Polish and Peels are sold separately under the Luxe Polish category. • Luxe Top: Our 15ml Quick Dry Top Coat is luxuriously thick and creates a super glossy finish! • Luxe Polish: Luxuriously thick, quick drying and super long lasting. • Luxe Matte: Matte Top Coat. For a classic matte finish, just apply a thin coat instead of your regular glossy top coat and let dry. • Luxe Peel: Unicorn Confetti Peel Away Base. Super fun cuticle guard protector. Just paint on around the edges of your nail (on skin) and let dry. Begin any pigment powder or polish application and then when finished, just peel away! Great for nail artists. • Luxe Peel: Peel Away Cuticle treatment. A temporary option for gel and dip powders. Even under glitter polishes or hard to remove nail art treatments. Apply 1 coat of this and let dry thoroughly. Then apply your gel or dip application. When you are ready to remove, simply lift at the edges of your nail with an orangewood stick or cuticle tool. It will pop/peel right off. This can also be used as a cuticle guard around your cuticles.